This makes a perfect side vegetable dish to be served with chicken or fish. 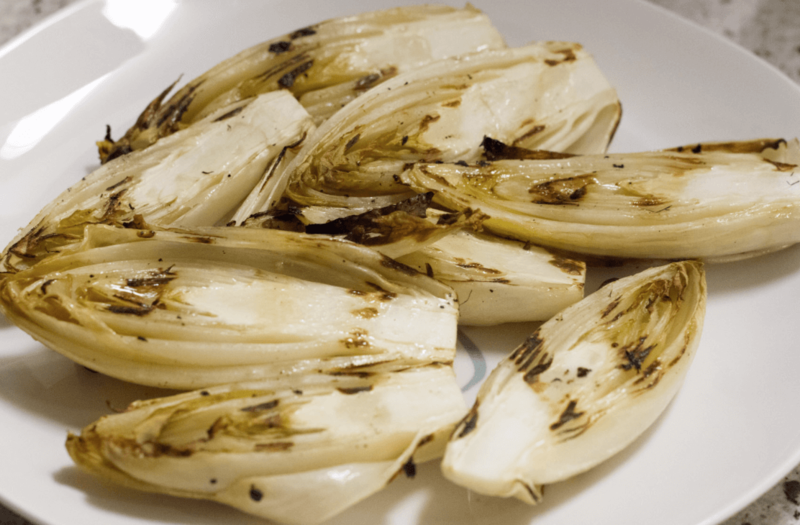 Cut the endive stalks in halves and place them in an oven dish. Cut the tomatoes in halves and place them on top of and around the endive stalks. Mash the garlic and mix with the white wine and a few drops of olive oil. Pour the wine onto the endives and lastly sprinkle the bacon bits and gouda on top. Cook at 180 degrees Celsius for about 40 minutes.